PSTCL Recruitment 2016: The Punjab State Transmission Corporation Limited has been invited the application for the post of Junior Engineer, Assistant Lineman & other jobs. The total number of the vacancy is 519. The applicants who are looking the latest govt jobs in Punjab can apply the Punjab State Transmission Corporation limited vacancies 2016. Interested applicants must check the eligibility before apply the online application for the PSTCL jobs 2016. The candidates can apply the online mode of the application at the official site pstcl.org. Here we provide the direct link for the PSTCL application form and notification 2016 on our indrajobinfo.co.in portal. 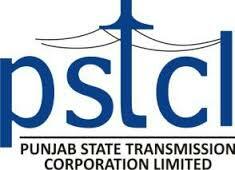 Company Name - Punjab State Transmission Corporation Ltd. Number of Post - 519. Category of Job - Govt Job. Sub Station Operator/ Sub Station Attendant - 95. Office Assistant (Accounts)/ UDC (Accounts) - 27. Assistant Manager/ IT - 02. Junior Engineer/ Electrical - 100. Junior Engineer/ IT - 06. Junior Engineer/ Communication - 08. Junior Engineer/ Civil - 40. The candidates who have pass the 10th/12th/graduation from any recognized university/institute can eligible to apply the PSTCL careers 2016. The age limit of the applicants as per the designation. For more details check on the official notification. The shortlisted aspirants in Punjab State Transmission Corporation ltd recruitment 2016 will be based on the following criteria. The selected candidates will be get the scale of pay as per the job role. Open the official website pstcl.org. Click on the online registration form. PSTCL notification release date: 1st June 2016. Closing date of application form: 30.07.2016. Download the PSTCL Recruitment Notification 2016. PSTCL Apply Online Application Form 2016.